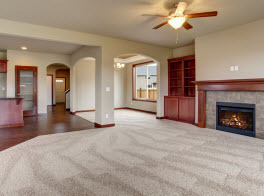 At Eco Clean Carpet Cleaning, we proudly provide superior carpet cleaning and more to residential homes and commercial business in Greater Los Angeles, California and the surrounding areas. We provide quality cleaning and restoration services at affordable prices and our knowledgeable technicians are trained in the most up-to date cleaning protocols available. 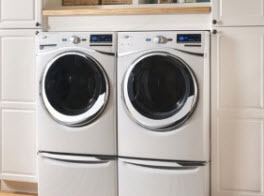 Our equipment is top-of-the-line and guaranteed to provide your home or business with a thorough and effective cleaning to ensure the air in your home is free of impurities including dirt, dust, and other contaminants. 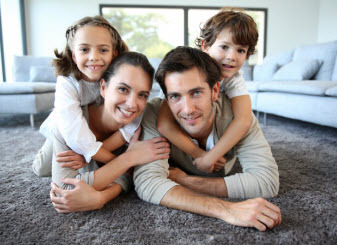 Eco Clean Carpet Cleaning is family owned and operated, licensed and insured to ensure your complete satisfaction and peace of mind. Our services are effective and affordable and our professional and friendly technicians receive continued training to ensure that they stay up to date with the most revolutionary cleaning methods available on the market. Do you think your home or business would pass an Indoor Air Quality test? If you are not sure how to answer this question, you may want to consider investing in our professional air duct cleaning service. 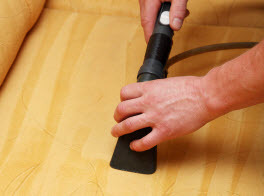 At Eco Clean Carpet Cleaning, our highly skilled duct cleaning technicians understand just how dirty the air ducts in your home or business can become. They also understand how the unseen dirt, dust and debris built up in your duct system can affect the health of you, your family and your employees. Comprehensive studies have shown that the air quality in the average air duct can contain bacteria, mold spores and dust mites, all of which can adversely affect the health of the occupants within the home when the contaminants are spread through the ventilation system. Let the experts at Eco Clean Carpet Cleaning professionally clean your air ducts to eliminate contaminants so you and your family can breathe easy. 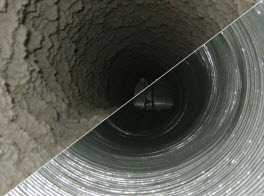 Our knowledgeable air duct cleaning technicians will arrive at your home or business in a fully stocked vehicle with all the necessary tools, equipment and quality cleaning solutions to ensure that your air ducts are professionally cleaned and sanitized. As a family owned company, we understand that your time is valuable so we provide flexible appointment times so you can enjoy the many benefits of a quality air duct cleaning without the inconvenience of disrupting your busy schedule. Another reason to invest in our professional air duct cleaning services is to maintain your HVAC system to ensure that it operates efficiently. The experts at Eco Clean Air Ducts recommend their professional duct cleaning services at least once every 24 months, to ensure that your duct system is working at optimal performance levels and in turn lower the amount of your monthly energy costs. If you have smokers or pets in the house, talk to your Eco Clean Carpet Cleaning technician about increasing your duct cleaning service to an as needed basis. •	Our friendly technicians will arrive in a vehicle stocked with a wide variety of filters to fit your duct system should your require a replacement. For more information regarding Cleaning and Restoration Services in your Greater Los Angeles, California home or business, contact the professionals at Eco Clean Carpet Cleaning today. © 2016 Eco Clean Air Ducts. All rights reserved.